Hi, I'm Heidi Kraay. I'm a playwright, writer and theater maker currently living in Boise, Idaho. I've been commuting regularly to San Francisco over the last two years, where I'm an MFA candidate at California Institute of Integral Studies (CIIS). This is my graduating semester. For my MFA Final Project, I'm bringing a staged reading of my brand new play HOW TO HIDE YOUR MONSTER to San Francisco. Since I live and work in Boise, and my Creative Inquiry, Interdisciplinary Arts program is low residency, I'm in Idaho more often than in California. 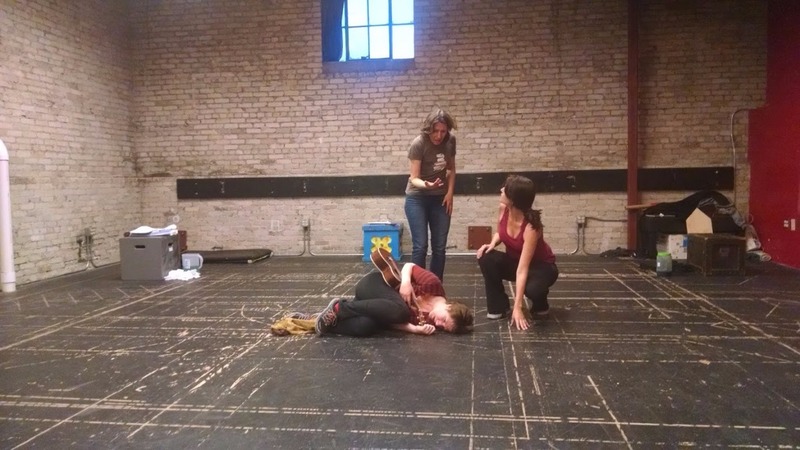 I wanted to work with theater makers I know and trust here, to get the most out of our rehearsal and development process. I have four outstanding artists on my team: Jaime Nebeker, Sasha Allen-Grieve, Jennifer Stockwell Doner and Jodeen Revere. They've been helping me through the development process since last fall, bringing this play and its characters to life. 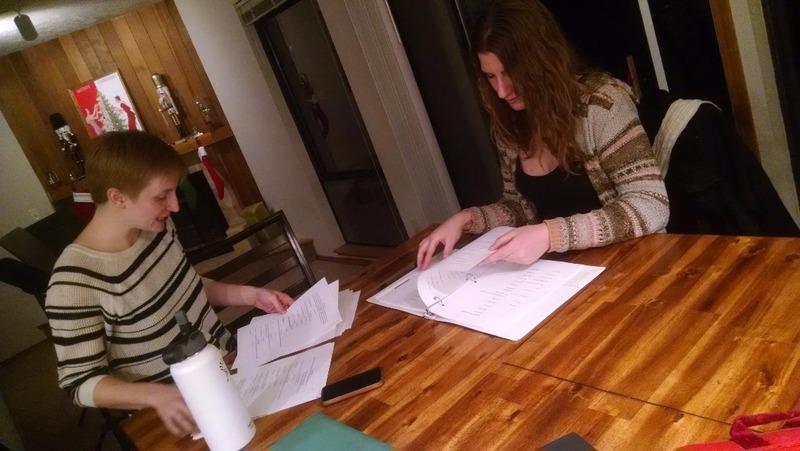 Jaime and Sasha rehearsing for the Fall 2015 HomeGrown Theatre BLiP reading. They need to get to San Fransisco for our final showing at CIIS. This all costs money. We need to cover transportation, housing, production costs and artist stipends before April arrives. The trip and MFA Project Spring Festival is coming right up. We head to the Bay Area for our final showing April 8. After the performance, we return to Idaho to fine-tune our rehearsal process based on what we learned at this event and prepare to show the play to Boise audiences. 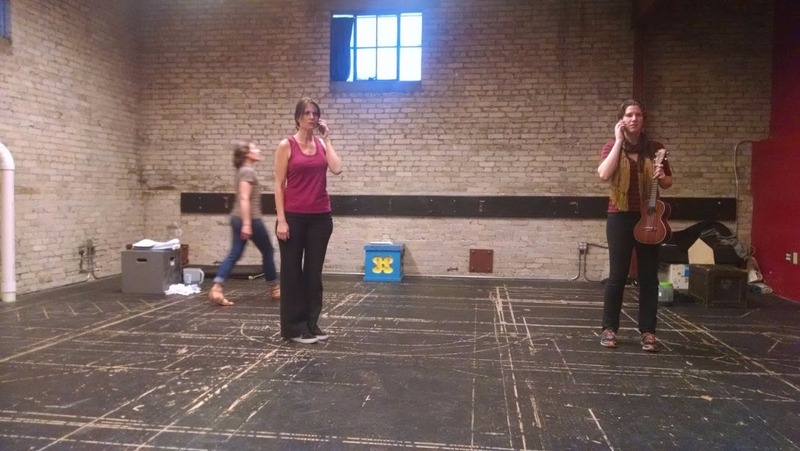 Then HomeGrown Theatre will present a second staged reading this May, as HOW TO HIDE YOUR MONSTER continues its development on its way toward full production. HOW TO HIDE YOUR MONSTER explores love and the side effects of love through three women’s parallel lives. It composts anonymous, personal and true stories submitted to 100 Love Memories Play Project, which make up the histories of each character. This is a play in love with truth, memory, family, longing and wholeness, dealing with the secrets we keep from the people we love most in order to protect them. I'm exploring how we can connect with each other by becoming more vulnerable, even when it's much easier to hide. This play means a lot to me. I've been working on it since 2013, when I asked people to send me their love memories, promising to make a play out of them. These artists traveling with me are some of my favorite people on earth, and they mean a lot to me. I want to make sure they get to San Francisco and back at no cost to them. As a school, CIIS means a lot to me. This MFA Program has invited me into a process that shows me what kind of a playwright I am, how I want to work, and what kind of person I want to be. Creating this new play through that holistic process is giving me the tools to build a balanced, sustainable and productive life in the arts. Marie Markovic and I reading from the play at the CIIS MFA Festival in 2015 (Photo Paula H. Junn). Thank you for any amount you are able to give. Your dollars will help this play and these wonderful artists bridge many miles. We will be overwhelmed with gratitude for whatever you can give. My team and I are already so thrilled about what we've received along the way in this process. The MFA Programs at CIIS ignited our fundraising trek with a seed donation this year. This got us started toward paying these extensive travel costs. 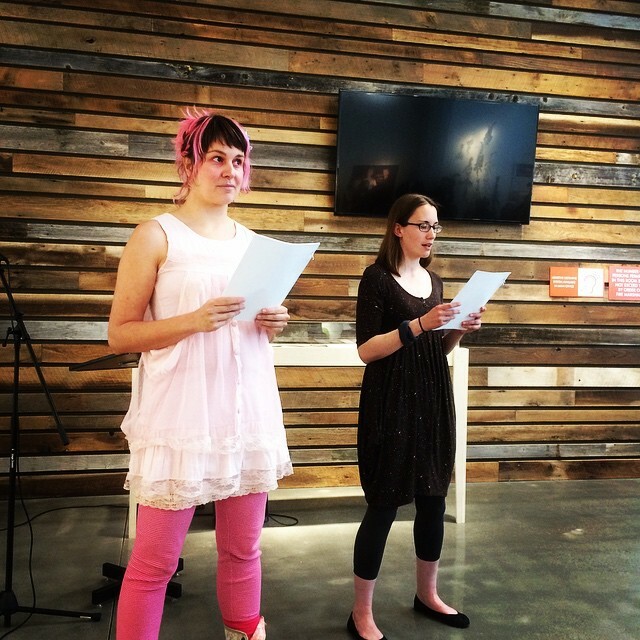 Heartfelt thanks also to HomeGrown Theatre for giving HOW TO HIDE YOUR MONSTER its first public reading in November 2015 as part of their monthly BLiP Play Reading Series, and for showing the final staged reading for this process in May. 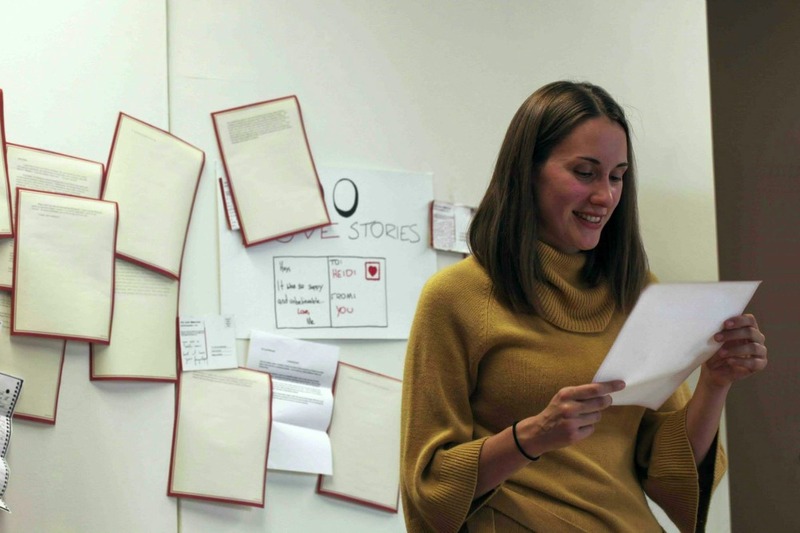 Enormous thanks to Boise Contemporary Theater for giving the play its second reading in February 2016 as part of their annual 5X5 Reading Series. Big thanks to Charm School's Feast Event for giving me a chance to pitch 100 Love Memories Play Project in spring 2013. This micro-grant fundraising dinner competition started the whole idea of making a play based on people's memories of love. Finally, an undying gratitude goes to everyone who wrote me their memories of love, from 2013 to 2014. And everyone who has given me thoughts and feedback along the way. I'm so glad to be making a play with you. Me reading the love memories, which create the histories of each character (Photo Robert Riddle). We made it. Thanks to you. 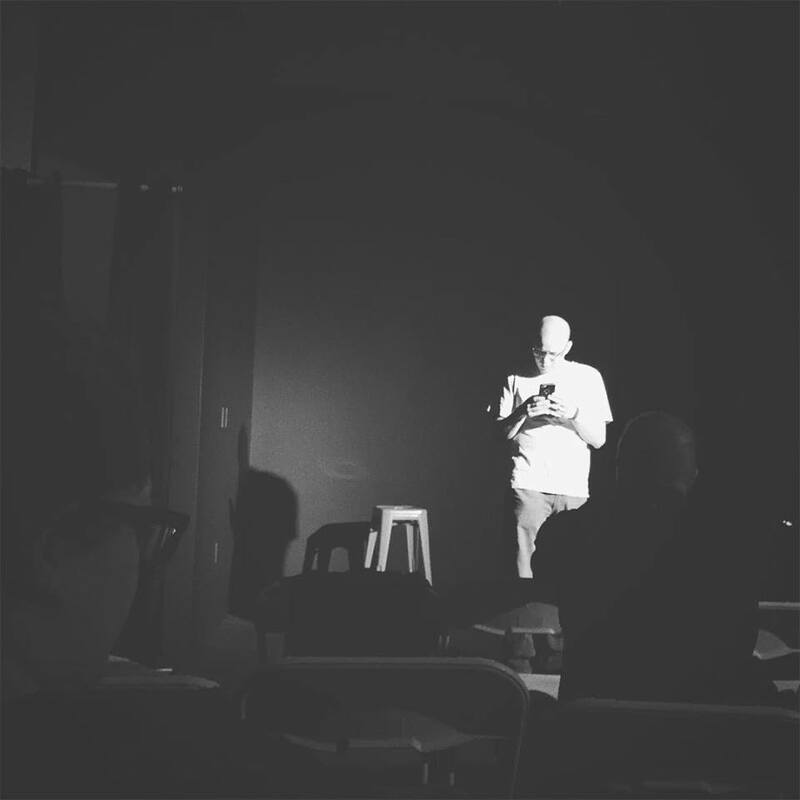 Last Saturday we shared How to Hide Your Monster with an eager crowd at California Institute of Integral Studies in San Francisco, after full days of tech, travel, classes and MFA showings from visual, storytelling, writing and performing artists. What an unforgettable experience. What knockout performances by Sasha Allen-Grieve, Jennifer Stockwell Doner, Jodeen Revere, let by the incomparable Jaime Nebeker. What an amazing journey to get there. Your HUGE help made this possible. Thank you for your donations, sharings and loving words. As a special token of our affection, we'd like to share the Brown Paper Ticket link for our May Boise performances with you, making this available to GoFundMe contributors FIRST. So, if you're in Boise and are hoping to see the work we brought to the Bay (AND THEN SOME), you get first dibs. We'll share the link with the general public on Monday. Seating at Studio 208 will be LIMITED, so we recommend reserving your spot in the very soon timeline. 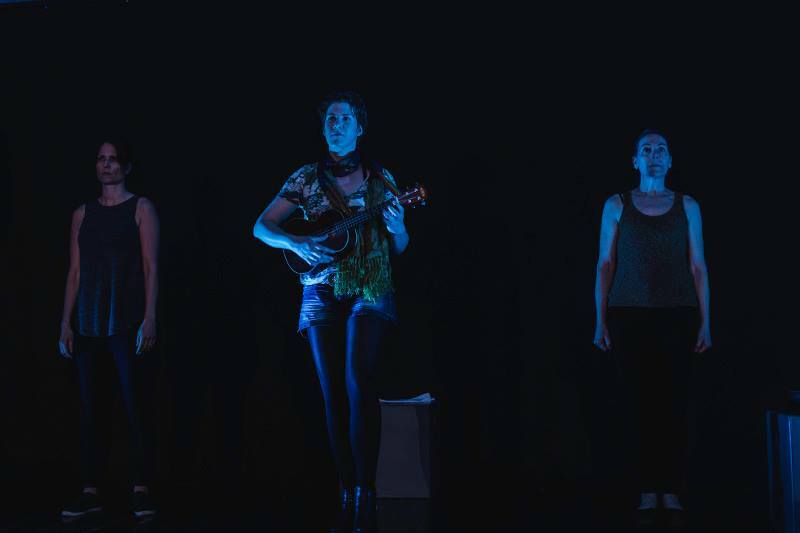 Because HomeGrown Theatre is committed to keeping their prices low to bring theater to underserved audiences, tickets are a very low $5 minimum, with options to pay what you want above that amount. Thank you, again, so much, for making all this possible. Because of you, our team will get reimbursed fully for their travel and production expenses, and we are able to pay artists for their wonderful work. Tomorrow we resume rehearsals. We're so excited to dig back into this piece. Thank you for making art possible. Big love to you. In the So Much amount. How to Hide Your Monster at CIIS in SF! FINAL COUNTDOWN: Bon Voyage in 1 Day! We hit the road (and air) tomorrow, jump into tech and dress rehearsals Friday and Saturday, and Saturday evening is the CIIS MFA Festival, where we'll be presenting our staged reading. Thanks to this unbeatable team, we are so ready. Thanks to you all, we're able to focus on the important part of this adventure -- making art -- instead of figuring out how the five of us are getting to San Francisco, and how to pay for everything once we're there. SO, THANK YOU. Finally, I'd like to use this last countdown update to thank a few wonderful Boise companies who helped make our presentation at the event possible: HomeGrown Theatre, Boise Contemporary Theater and The Cabin. These amazing organizations have supported How To Hide Your Monster in big ways since the fall, and are fantastic homes for the arts in Boise. Please show them your love with much attendance in the near future. And thanks again, to all of you, for helping make this trip possible, and helping make our staged reading performances the best they can be. COUNTDOWN: Bon Voyage in 4 Days! We are so excited for Friday and Saturday. Design elements are adding in, big moments are getting cultivated for in-depth articulation and I'm into final rewrites before we travel to San Francisco and I submit this project to CIIS MFA Programs for evaluation. As if that wasn't enough excitement, we also are ready to announce our May performance dates in Boise! 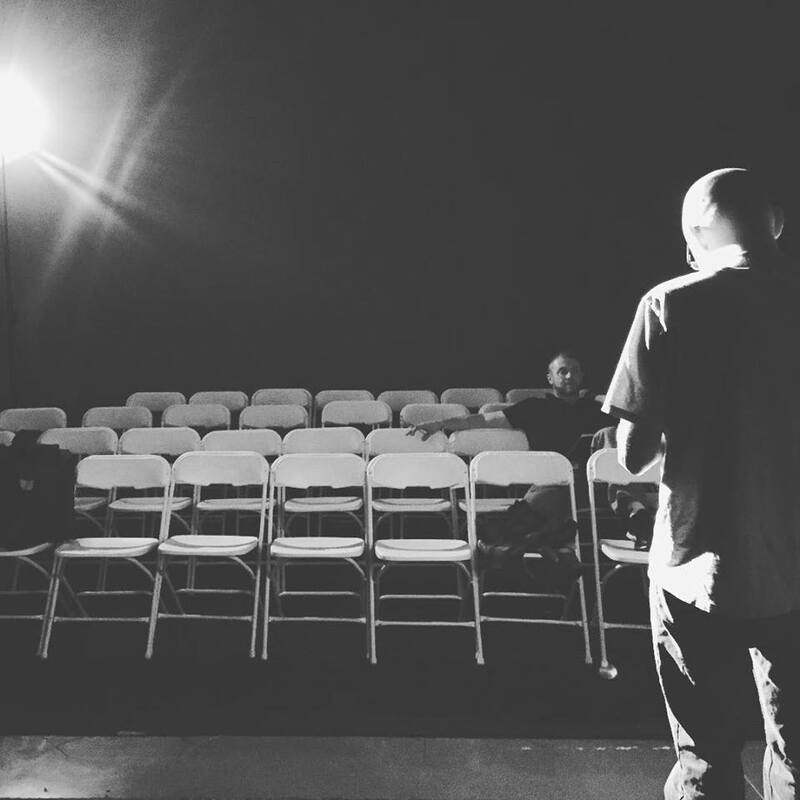 The full staged reading of How to Hide Your Monster will be showing in Boise at 7pm May 1 and 2, Sunday and Monday, at Studio 208, produced by HomeGrown Theatre. HGT will release a ticket link for the performances very soon. GoFundMe contributors will get the first chance at tickets. What is Studio 208? This brand new guerrilla theatre space is an intimate 30-50 person venue just off the corner of Myrtle and Broadway downtown. More details, links and information coming soon! How to Hide Your Monster will be the first play to be shown in this new venue. Mark you calendars for May 1 and 2 at 7, Boise, and help Ron Torres' new space open up to the world in a grand way. 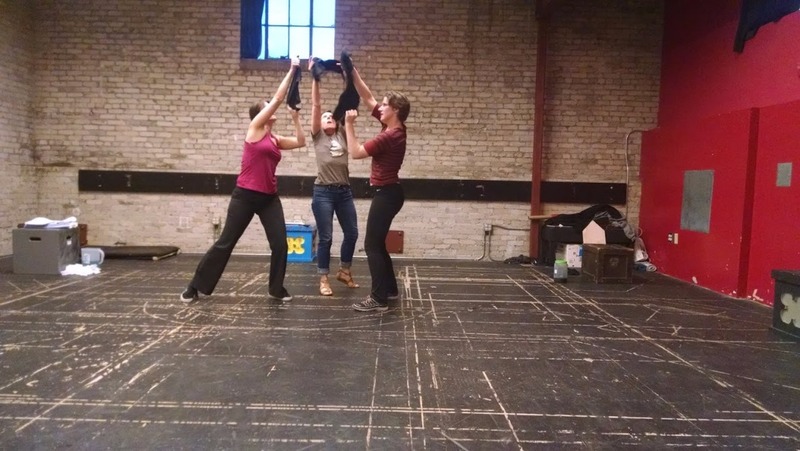 HomeGrown Theatre and the How to Hide Your Monster team are so thrilled to help launch this very cool theatre, also home to Insert Foot Theater's improv comedy troupe and the film/video series Buck the Quo. We can't wait for this weekend. We can't wait for May. Insert Foot rehearsing at Studio 208. Studio 208 view of the house. We did it. Because of you. And I, and all of us, are so grateful, humbled, and amazed. In the beyond-words-kind-of-way. Thank you for helping us make art. Thank you for helping us travel far. Thank you for helping us pay our artists. Thank you for helping us make the work beautiful. Thank you for helping me complete my MFA Project. Thank you for helping me finish my graduate studies. This project means a lot to me. So do all the artists and phenomenal humans helping me make it. That includes you. Big time. THANK YOU. Your support means so much to us. To all of us. Thanks for being a part of the How to Hide Your Monster family.